Johnson T-shirts: made from bamboo and therefore very soft and comfortable. 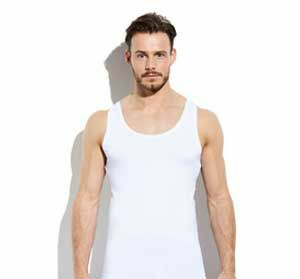 As a result of the breathability and perfect fit, these undershirts feel like a second skin. 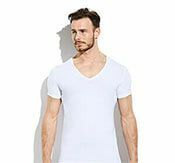 The undershirts have a normal V-neck and are therefore ideal under your shirt with the top button undone. 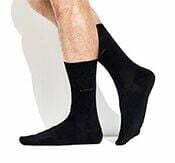 The model is 1.83 m tall and wears size S.